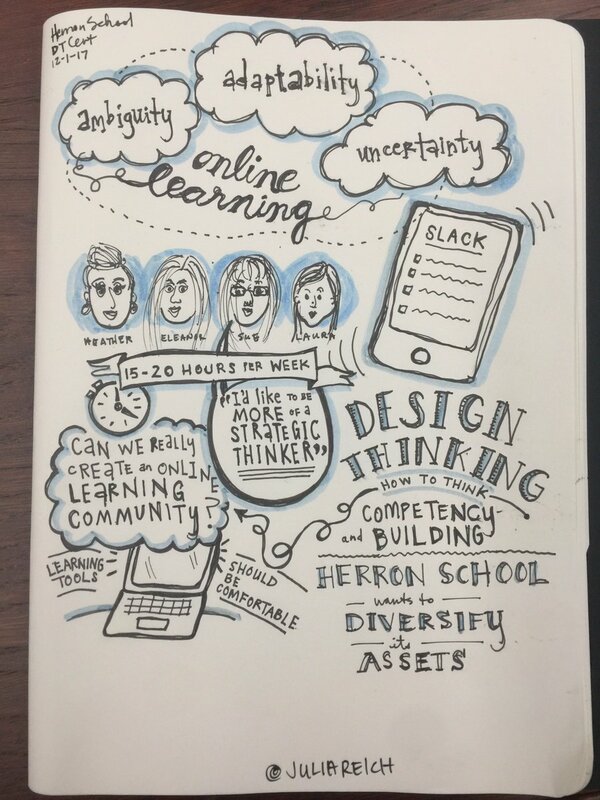 I’ve enrolled in the NEW #designthinking for innovation and collaboration certificate program at Herron School of Art and Design in Indianapolis. Hopefully I’ll get a bunch of credits transferred to Indiana State University. With apologies to my ISU advisor and grad committee – I have become that non-traditional student from hell. Sketchnotes below ∨ from last week’s end-of-semester wrap-up meeting where I got to meet the first cohort, who started in Fall ’17. I’ll be starting in Spring ’18.